China is increasingly investing in its creative services industry to move beyond its identification as a mere ‘factory of the world’. Multiple national policies and initiatives have sought to stimulate the country’s knowledge economy, and shift business focus towards higher value-added manufacturing and innovation. 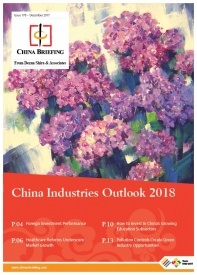 However, the creative services industries, like most industries in China, bears ‘Chinese characteristics’. 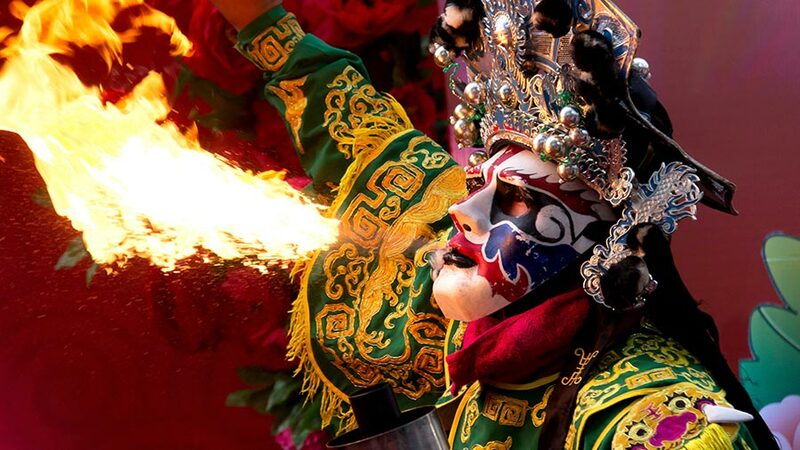 In this article, we outline a market entry checklist and investment potential in the 12 main creative industries existing in China. Broadly speaking, the creatives services industry outsources creative talent. This talent produces knowledge and information to support the core functions of an organization. In other words, culture is used to make capital. Radio, TV, video, and photography. The creative services industry is positioned to remain relevant and continue to grow even more rapidly as the digital economy expands. Globally, the strongest players in this sector are now countries with the highest internet penetration rates and digital user-base. The Asia-Pacific region leads global markets in terms of online footprint. China is a vast and consolidated market in the Asia-Pacific region, strongly supported by favorable government policies coupled with ubiquitous internet access, giving China-based creators ease of market entry. However, while China possesses an enabling environment for creative industries, its regulatory infrastructure is complex and can be a major concern for foreign investors. Market size and growth vary in China, depending on the sub-sector. Notable growth segments in the creative services industry include art, film, and animation. All of them benefit from incubators enabling them to become centers for their respective markets. Qingdao is set to be the new heartland of Chinese film production, following sites such as Hengdian World Studios in Zhejiang. Hangzhou is a center for IT and animation. Beijing’s 798 Art Zone and Shanghai’s M50 Art Area are respectively trendy art gallery and cafe rich neighborhoods that generally serve as networking centers for such industries. 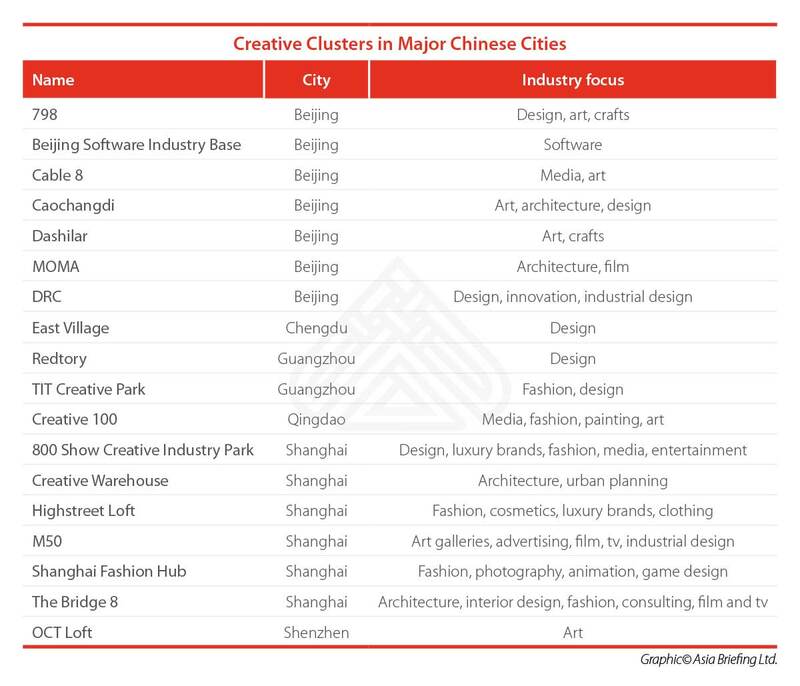 The leading creative centers are naturally concentrated in China’s premier cities. Such designated ‘zones’ indicate the government’s willingness to encourage the development of creative industries. However, a central concern for foreign players looking to enter the Chinese market is whether they can establish a business on their own or if they can operate only through the joint venture model. Depending on the industry, the Chinese government restricts wholly foreign-owned enterprises from producing certain content, allowing only joint ventures to be pursued. These industries include film, television, performing arts, and publishing. 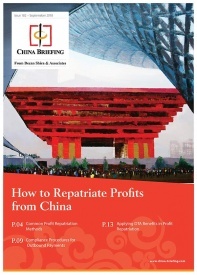 The general rule is that the Chinese partner holds the majority stake in any arrangement. This strictness exists because the creative industries are closely linked with politically sensitive content and influential material that is distributed to the public. 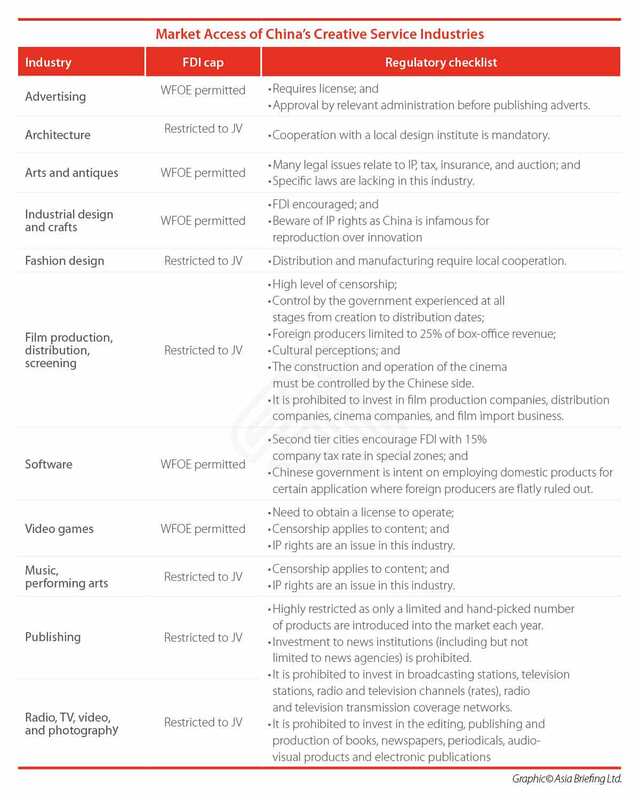 The table below informs the market entry requirements of each creative services industry in China. The likelihood of seeing change varies from industry to industry. For instance, China’s radio and TV has seen cooperation programs established with the British public broadcaster BBC to strengthen ties between the two nations’ respective industries. It was settled by offering British tax breaks to Chinese producers in return for allowing British producers to access the Chinese market more freely. 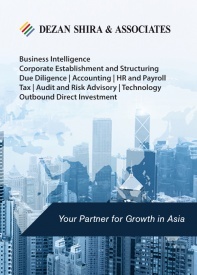 However, wholly foreign-owned and operated ventures are permitted in certain sectors. For instance, in advertising, we may see large foreign players such as Ogilvy competing with Chinese firms. Nevertheless, their market presence is dependent upon cooperation – to some extent – with the relevant licensing and market supervision authorities. Regulations vary according to industry. For example, the advertising law stipulates that advertising to juveniles and children is unlawful. In architecture, various licenses and permits not available to foreign applicants may prevent foreign investors from reaching their target market or bidding for tenders. In the fashion industry, taxes and tariffs applied to imported goods may affect pricing strategies. The extent to which regulations impede foreign business activities varies, depending on the industry and region. Additionally, in practice, different provinces, cities, and districts implement regulations differently. It is therefore important to review local regulations for the given sector when selecting a suitable jurisdiction. It is essential to know intellectual property (IP) rights back-to-front before entering the Chinese market. Copyright protection: Applies automatically, but needs to be registered through the National Copyright Administration (NCA) in order to license or enforce the copyright. Under the latest government restructuring, the National People’s Congress set up the State Administration for Market Regulation (SAMR) in March this year, which will govern China’s National Intellectual Property Administration (CNIPA). This means that the bodies regulating IP will now come under the supervision of the SAMR as the main market regulator. Chinese government policies tend to encourage certain creative service providers that fit China’s market demands. As mentioned earlier, various zones have been established across China catering to the needs of specific sectors, and provide favorable locations to set up base for market entrants. The Chinese government has also made efforts to create free trade zones, software parks, animation zones, and art precincts. In addition, preferential corporate tax rates are available to those establishing operations within designated zones. The tax rates in these areas tend to be at 15 percent, as opposed to the standard corporate tax rate of 25 percent in China. 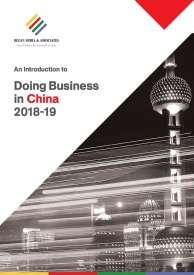 Further benefits can be realized with regards to visas, residence permits, social security benefits, and any matter of policy that would otherwise attract high-value professionals and investors to China. Such economic and social incentives illustrate China’s goal to restructure from being an export-led manufacturing base to becoming a cultural, knowledge, and innovation-led economy. China is also a nation online. According to the China Internet Report 2018, China has 772 million internet users (55 percent of the population) and the vast majority of users have constant access to the internet (via a smartphone). Further, 527 million internet users have mobile payment capabilities. Simply put, any sector related to the above statistics would bear opportunity and profit to savvy creators, producers, or investors. When it comes to content quality, it is unclear whether local Chinese producers rely on creative or derivative inspiration for their works. Mainland Chinese audiences express preference for foreign media content, particularly from neighboring Asian countries like South Korea, Japan, Hong Kong, and Taiwan. For this reason, it is advisable to consider deeply analyzing local content providers when competing as user preference appears to trump the formulaic Chinese standard in certain contexts. The Chinese government takes the stance that any material, product, or service that is deemed harmful to the state of China or its social values will be restricted. This is a useful rule-of-thumb that applies to almost any venture in China. However, this broad position affords substantial discretion to its enforcers. 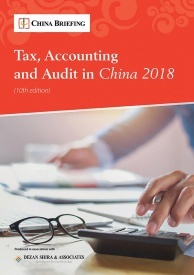 Foreign entrants can manage this aspect by being well-informed and familiar with the legal landscape in China, for which they might need to access professional services on the ground. Other challenges are in the form of language and culture, which may affect tasks from project negotiations to the management of staff. Each of the 12 sectors highlighted in this article experience varying challenges and barriers. For instance, on March 28, the body licensing games in China was shifted from the State Administration of Radio, Film and Television (SARFT) and the Ministry of Culture to the Central Propaganda Department. Since then, China has halted licensing new games and the industry has entered a period of uncertainty. An up-to-date grasp of policy, regulations, and understanding of the local market is therefore necessary to firmly grasp the future trends of China’s creative services industry.